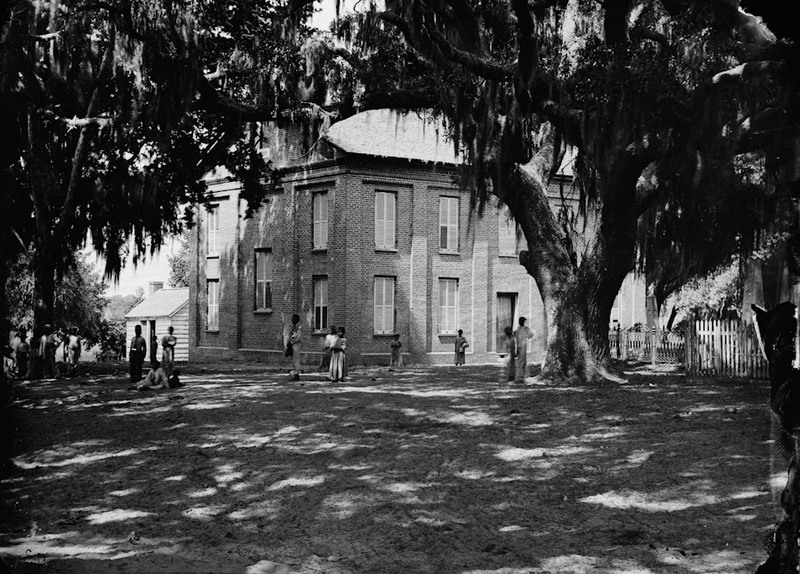 The Penn Center is the site of the country’s first school for freed slaves in the South. Today, Executive Director Walter Mack continues to keep Penn at the heart of Gullah culture by serving the needs of the community and developing programs for self-sufficiency. 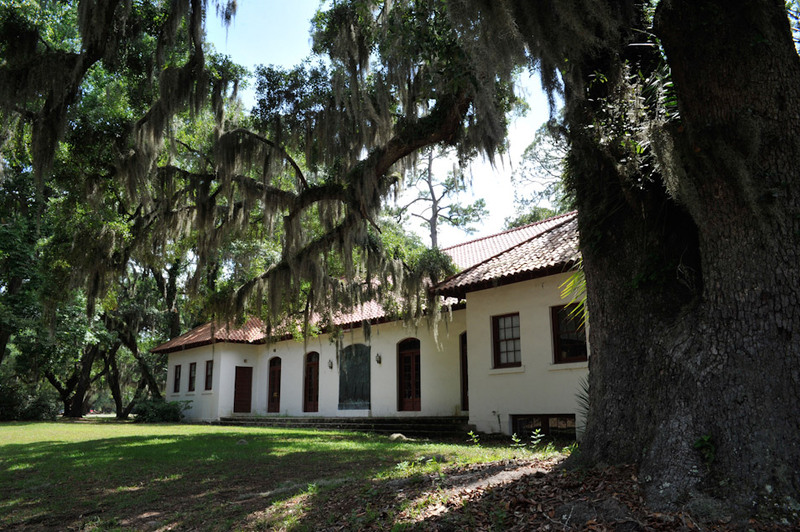 The campus is a National Historic Landmark for its significance in Gullah history. 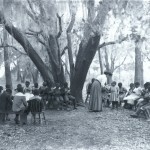 In a back room of the Oaks Plantation house, the first school in the South for the formal education of the freedmen's children (former slaves from the surrounding plantations) was begun in October of 1862. 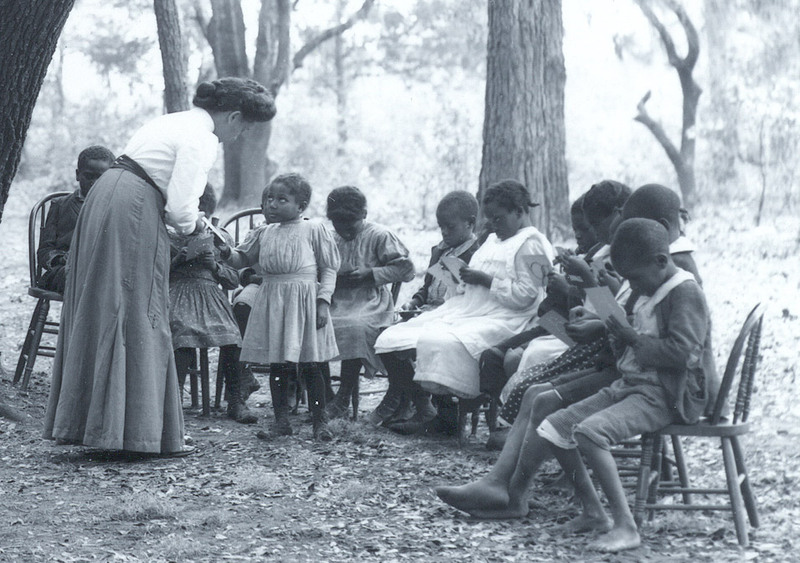 The first class was composed of nine children, but the class quickly grew as the local families were eager for their children to learn to read and write. 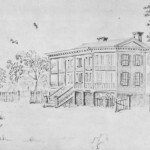 The popularity of the school caused Towne and Murray to eventually move the school to the Brick Church with 132 students. Image Folder P-4285/03, in the Edith M. Dabbs Collection of Papers Relating to Saint Helena Island, S.C., Southern Historical Collection, The Wilson Library, University of North Carolina at Chapel Hill. Central Baptist Church ("Brick Church"), 1860s. 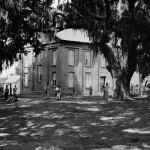 The Brick Church was constructed as a plantation owner's church in 1855, although it served the slave families as well. They stood in an open balcony for the services, out of view of the plantation owners and their families. 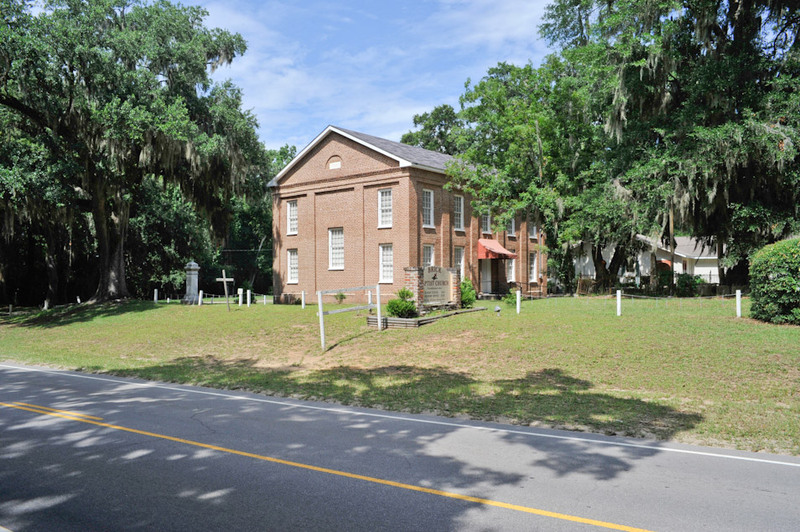 After the occupation by the Northern Army in 1861, the church was given to the former slaves as a place of worship. It was later also used as the location for the new school. 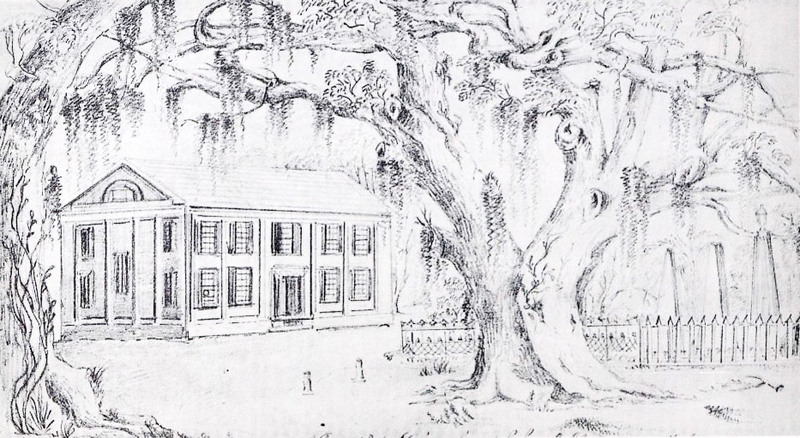 This sketch of the Brick Church was made in the 1860's at a time that the church served both functions: as a church for the freedmen and as the school for their children. Image Folder P-4285/8, in the Edith M. Dabbs Collection of Papers Relating to Saint Helena Island, S.C., Southern Historical Collection, The Wilson Library, University of North Carolina at Chapel Hill. Brick Church near Frogmore, St. Helena, between 1862 and 1865. 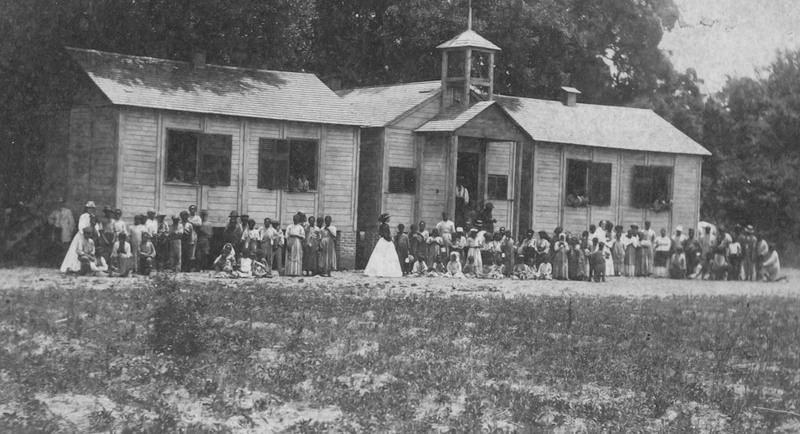 This photograph from the Civil War (between 1862 and 1865) shows island children outside of the Brick Church, probably during the period that the school was being held for them inside. The planters graveyard is seen to the right, enclosed by a fence. LC-B817-7986, Library of Congress Prints and Photographs Division, Washington, DC. 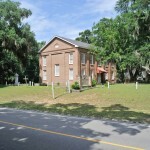 A present day view of the Brick Baptist Church. The buiilding and grounds, part of the Penn Center campus, are very similar to the view in the 1860's sketch and photograph. 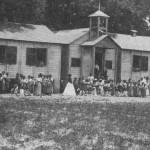 School house with pupils, undated. 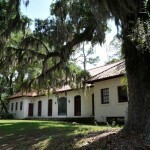 Established in 1862 in a room of the Oaks Plantation house, the Penn School got its first building in 1865. The prefabricated panels of the building were shipped to St. Helena from Pennsylvania. Photo 0836 in the Penn School Papers #3615, Southern Historical Collection, Wilson Library, University of North Carolina at Chapel Hill. 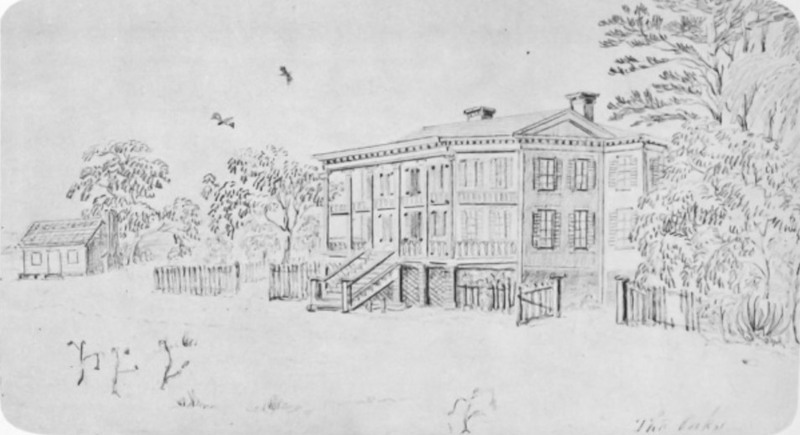 First Penn School, on exact site of present Frissell Community Building, 1865. The first Penn School building, erected in 1865, was placed on the site of the present day Frissell Building. 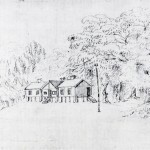 In this sketch, you can see the edge of the Brick Church on the right, with the road leading from Corner (at that time "Church Road," today Martin Luther King Blvd.) between them. 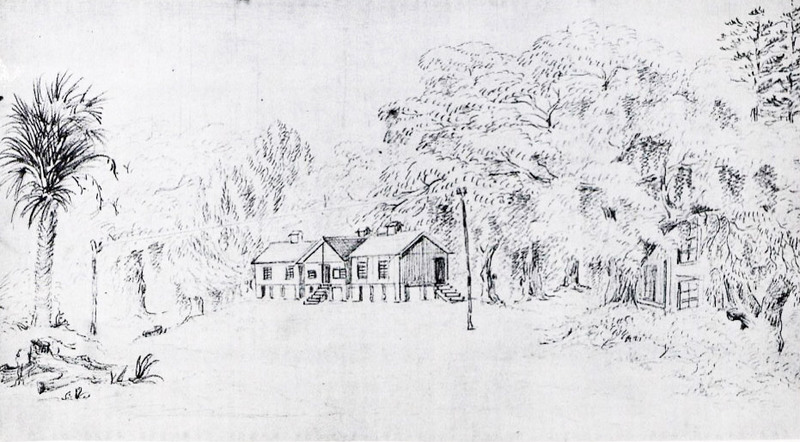 This view is to the north, with the Brick Church to the right in the sketch. The road is flanked by large live oaks that provide a shady canopy. While the first Penn School building was placed perpendicular to the road, the Frissell building is located parallel to it. Image Folder P-4285/10, in the Edith M. Dabbs Collection of Papers Relating to Saint Helena Island, S.C., Southern Historical Collection, The Wilson Library, University of North Carolina at Chapel Hill. The present day Frissell Building, the site of the first Penn School building in 1865. Linnie Lumpkins Blanton teaches her first graders. 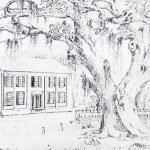 In 1862, Laura Towne and Ellen Murray began to teach the children on St. Helena first in a room of the Oaks Plantation house, and then later in the Brick Church. 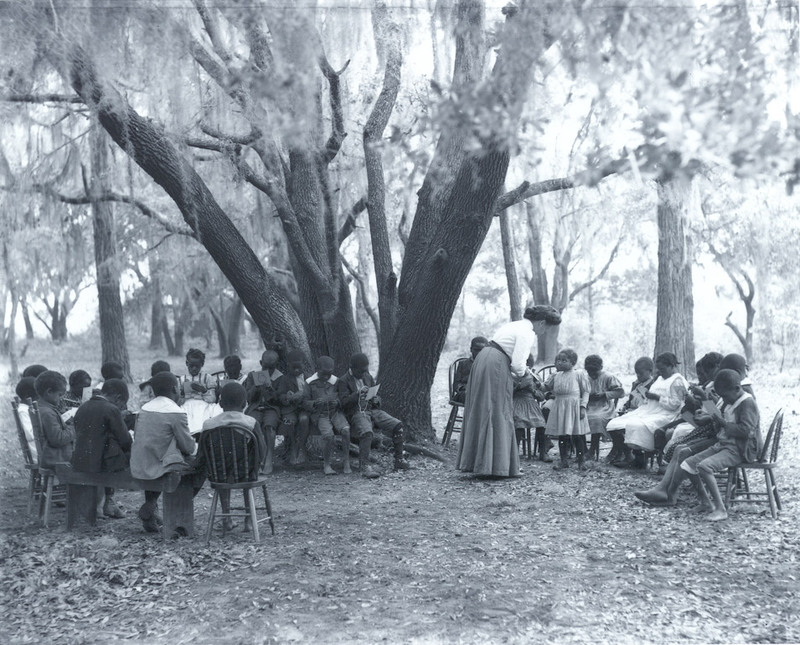 Here the children are seen getting a lesson under an oak tree. Towne and Murray believed in an academic education and teacher training as cornerstones of advancement. Photo 0961a in the Penn School Papers #3615, Southern Historical Collection, Wilson Library, University of North Carolina at Chapel Hill. 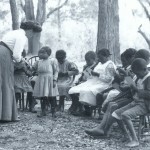 Linnie Lumpkins Blanton teaches her first graders - detail of photo. In 1901, the Penn School was incorporated and chartered as the Penn Normal, Industrial and Agricultural School. The focus of the school changed from the traditional literary curriculum, to a focus on "learning for living and learning by doing." 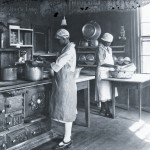 Under the leadership of Rossa B. Coley and Grace House, the Hampton-Tuskegee vocational approach to black education was used for the curriculum. 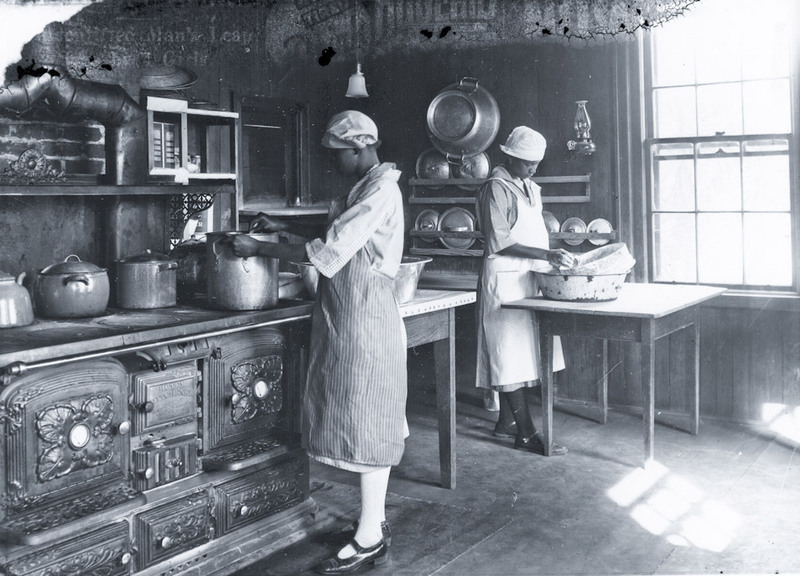 Girls were offered two courses, sewing or cooking and housekeeping. Photo 0948b, in the Penn School Papers #3615, Southern Historical Collection, Wilson Library, University of North Carolina at Chapel Hill. Alfred Graham, the first teacher of basketry at Penn, brought the craft from Africa as a boy, 1909. Another important art form, basket making is still practiced through the Gullah community in both South Carolina and Georgia. Passed down from generation to generation, the baskets were both functional (see the rice winnowing basket in "Growing Food") and an art form. 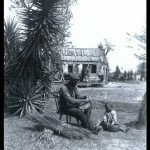 To the left of Mr. Graham are palmetto fronds and the sweetgrass bundle used in making the baskets. Photo 0939a, in the Penn School Papers #3615, Southern Historical Collection, Wilson Library, University of North Carolina at Chapel Hill. Miss Turner making and displaying her baskets, 2010. 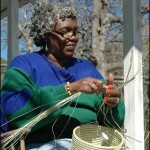 Basket making is an art that is still practiced through the Gullah community in both South Carolina and Georgia. With roots in the African tradition, basket making was passed down from generation to generation. The baskets were both functional (see the rice winnowing basket in "Growing Food") and an art form. Miss Turner is making her basket in the traditional method of coil sewing, using the sharpened end of a silver spoon sewing bone to create openings in the coil. Basket making is closely tied to the land and access to it. Development is reducing the habitat for sweetgrass, which grows behind the dune line along the ocean front, and along the boundary between marsh and forest. Development is also cutting off access to traditional locations where it is harvested, along with the long leaf pine needles, saw palmetto stem, palm leaves, white oak and bulrush.